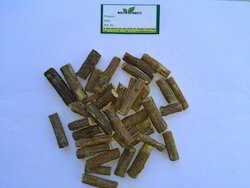 we are manufacturer and exporter of 100% pure glycerrhizic acid and glabridin extracts of licorice.We can provide up to 20 % glycerrhizin acid and 6-7% glabridin. 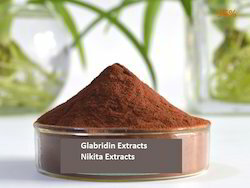 We have Glabridin Extracts from licorice herbs.we have co2 extracted and solvent extracted glabridin with 3 to 18% glabridin content. It is oil soluble and thick pest type. Banking on our rich industrial experience, we are engaged in offering the clients with a remarkable array of Licorice Extract. These products are extensively used in treating many diseases and making candies. Our offered range is a tonic, diuretic, demulcent, expectorant, emmenagogue and laxative, which is ideal for allaying coughs and catarrhal infections and are highly useful in irritable conditions of mucous membrane of urinary organs. This range can also be used for the treatment of addison's disease, asthma, bronchitis, coughs, peptic ulcer, arthritis and allergic complaints. Besides, they are also useful in sore throat, cough, anorexia and persistent low fever. Packaging Details: HDPE bag or As Per Buyer Requirements. Banking on our rich industrial experience, we are engaged in offering the clients with a remarkable array of Herbal Extracts. These products are extensively used in treating many diseases and making candies. Our offered range is a tonic, diuretic, demulcent, expectorant, emmenagogue and laxative, which is ideal for allaying coughs and catarrhal infections and are highly useful in irritable conditions of mucous membrane of urinary organs. This range can also be used for the treatment of addison's disease, asthma, bronchitis, coughs, peptic ulcer, arthritis and allergic complaints. Besides, they are also useful in sore throat, cough, anorexia and persistent low fever. We are instrumental in offering a wide range of Ashwagandha Extract to our valuable clients. 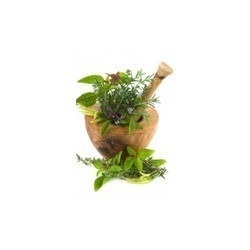 These are the main herbs to promote ojas and rejuvenating the body, which increases physical endurance. Our range is widely used as an anti-stress adaptogenic action and is a part of many general tonics & preparations such as chyavana prash. Owing to their stress related disorders such as arthritis, hypertension, diabetes and premature aging, the offered range is a rejuvenative general tonic, which stimulates immune system and increases physical endurance & promotes ojas. Function Anti stress adaptogenication,ojas promoting and rejuvenative tonic. Packaging Details:HDPE Drum/1KG,5KG Aluminium Bottle. 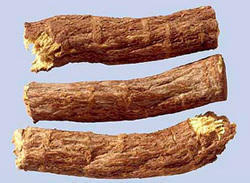 Looking for Licorice Extract ?